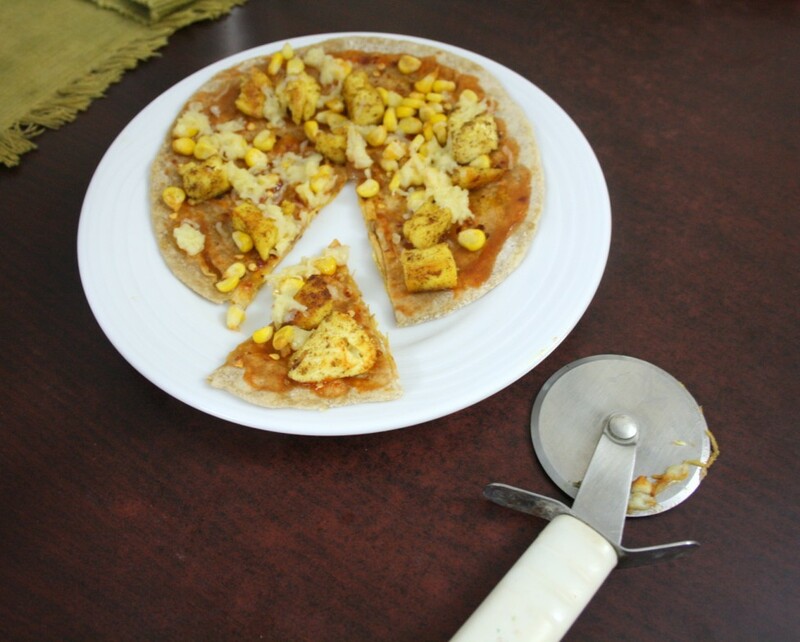 Next in the cooking for two, our simple dinner was a stuffed onion paneer paratha pizza. The name sounds funny right, well you won’t feel but rather floored by the taste that you finally get to eat. I made this for myself and Konda. She simply loved it to bits. I think I read this somewhere, maybe at Ramki’s space. But the thought remained and I wanted to go with the thought and experiment right away. 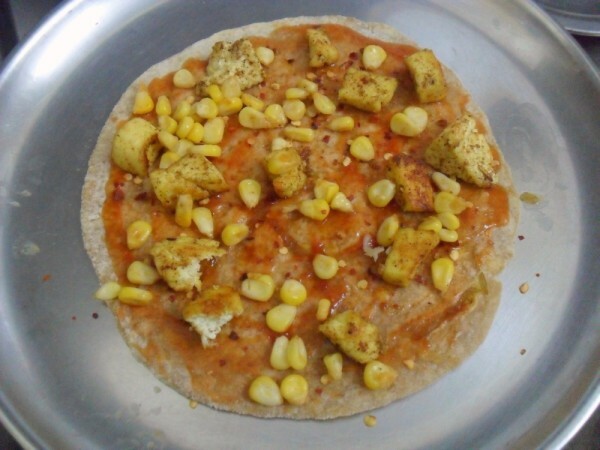 With both Konda and me loving cheese and pizzas, it’s no wonder we enjoyed our meal. 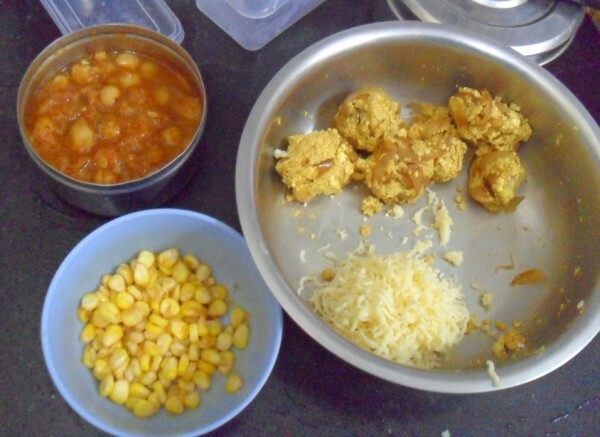 Apart from making the stuffed paratha from scratch, I had other stuffs that were stored up like sweet corn chat, chole masala and lots of paneer. So I had to use up all of this. While hubby dear took just a bite of it and said it was indeed delicious, Konda said I was brilliant. Well for love of pizzas, the compliments are always heavy. However it’s not my idea and I was thankful that I don’t have to tax my brain too much but just improvise on thought process. 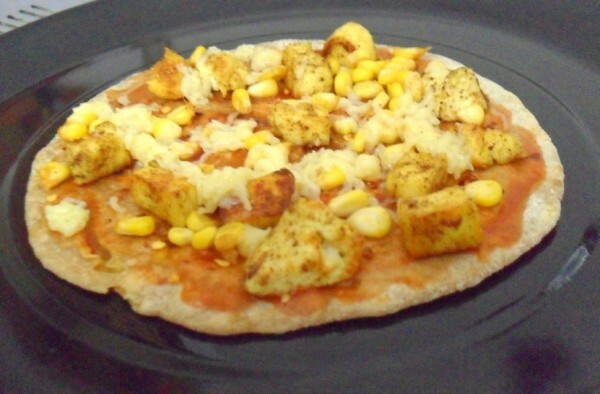 So here’s another easy to make dinner meal, that’s completely protein packed and delicious! 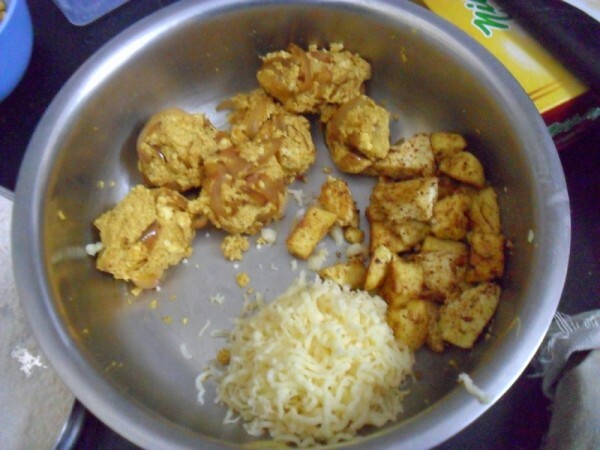 Heat a non stick pan with butter, saute the onions along with all the spices powders till the onions turn soft, remove and add grated paneer and mix together to form a ball. 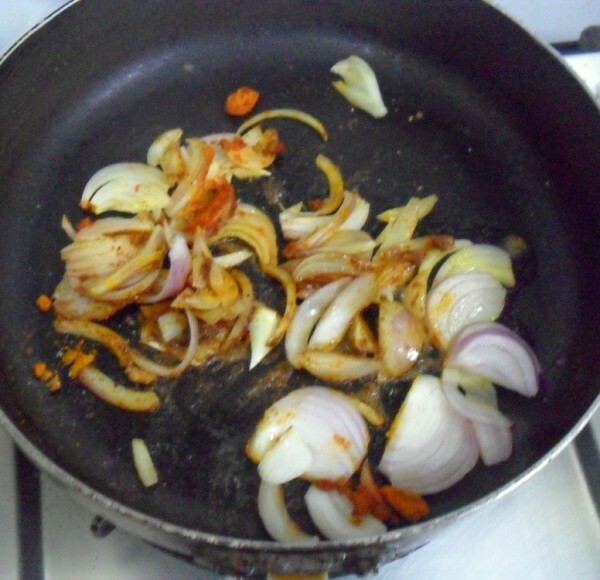 Only thing you can avoid is not to grease the parathas with oil while it is cooking. 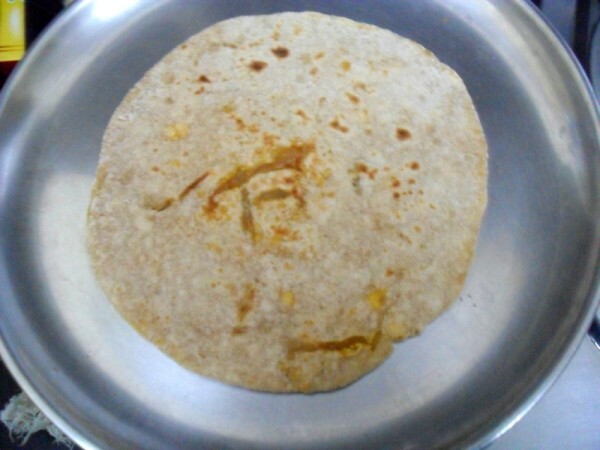 Once the parathas are cooked on both sides, remove to a plate. 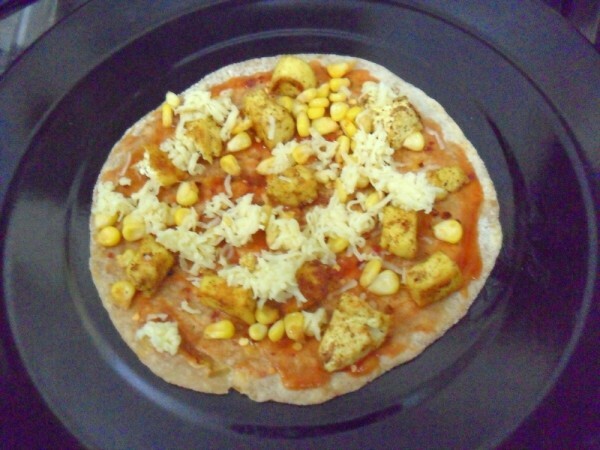 On the top spread the tomato sauce, sprinkle chili flakes, sauteed paneer, masala corn, and top with grated cheese. Bake in a pre heated oven at 185 Deg C for 5 mins. Once the cheese melts, remove and serve hot. This is a complete meal on itself, you don’t need a side dish to be served. 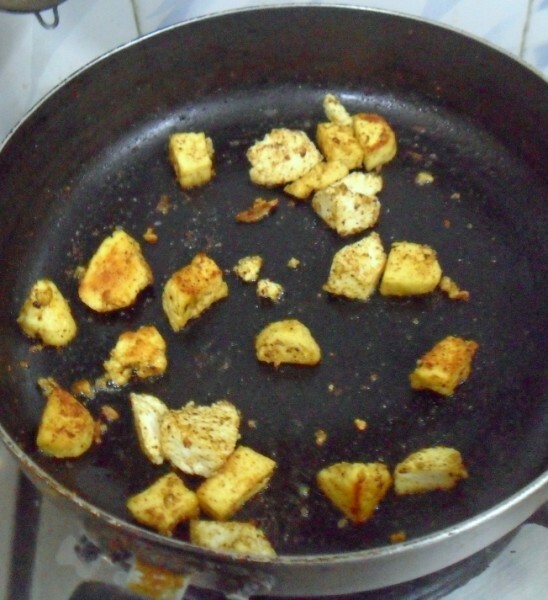 A dish where you can practically use any left over dishes like channa masala sauteed dry. 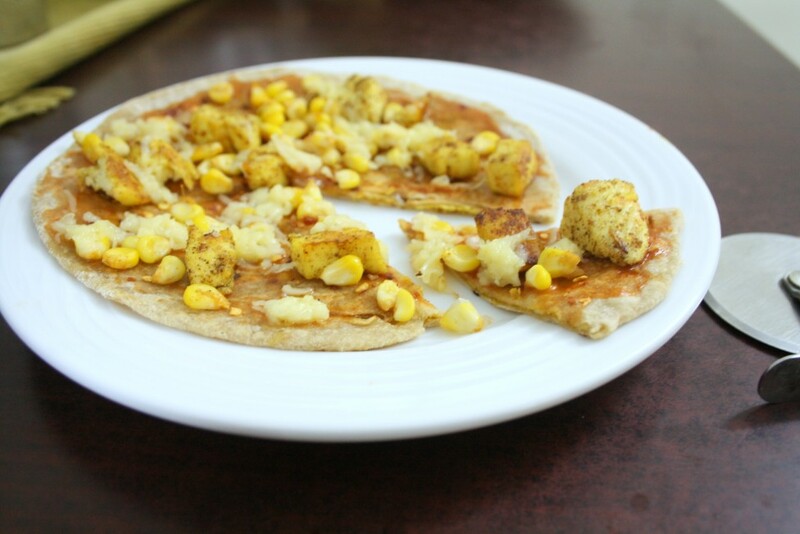 Once the stuffing was sauteed, I sauteed the paneer in the same pan, so it was well coated with the same masala. 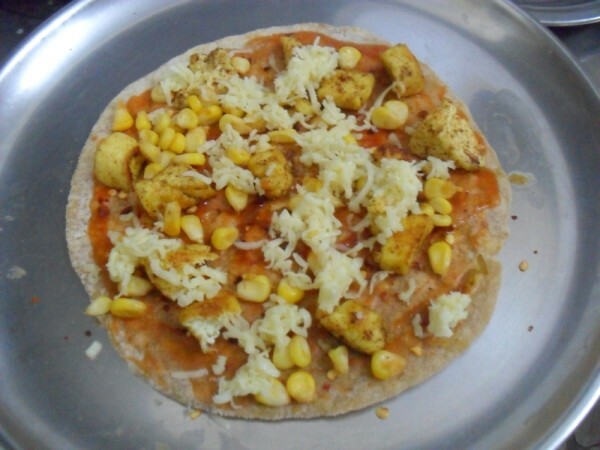 I made a pizza for myself with dry channa masala, and it tasted awesome with melted cheese on top. I used both convection mode and Microwave mode for two different pizzas. Both turned out good. I was rather expecting the base to turn very crispy, however it was soft and we could almost fold it with the toppings and eat. 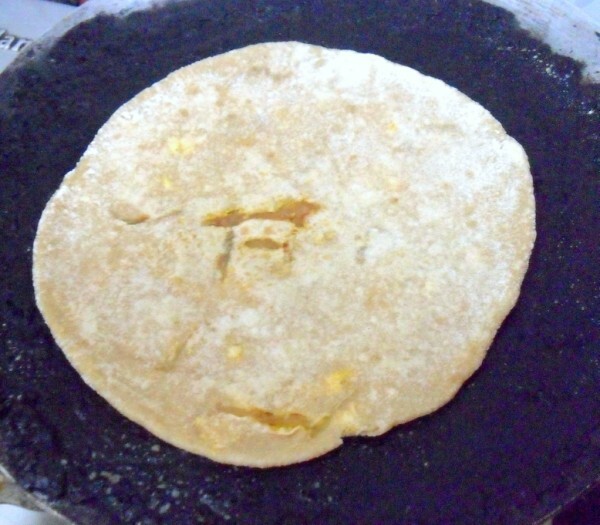 Maybe I must bake it more to get a crisp bottom. Through the day when I wasn’t actually thinking about how to plan our product release, I was only thinking about what to cook for two. It’s almost become an obsession. We called up Peddu, Chinnu and they are having a party at their aunt’s place with Pepsi and chicken. They really know how to enjoy their hols. Almond Milk Cake ~ Badam Halwa in Microwave! I like pizza very much. Step by step pictures are very useful.